Random Panel: Was this in the travel brochure? One Response to Random Panel: Was this in the travel brochure? 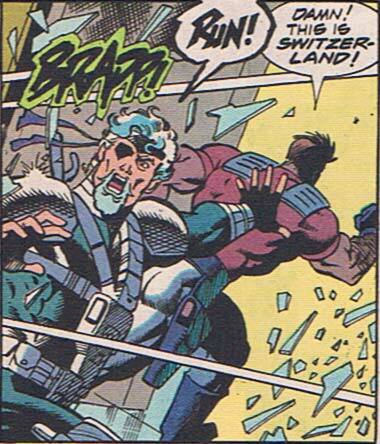 I like the sound effect there: Brapp. As if, rather than being shot at, they’re just, er, suffering the effect of an ill wind….